Time’s up for dirty hands and teeth! What kids consider sufficient in terms of hand washing varies wildly, from a cursory glance at the tap to standing at the basin with enough gushing water to extend Australia’s water crisis by another year. 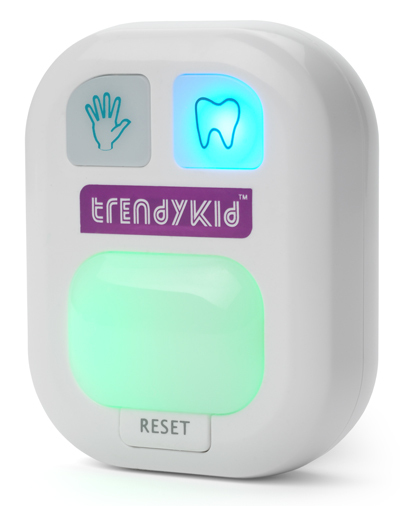 The Wash and Brush Timer by Trendy Kid teaches children the appropriate amount of time required to was hands and brush teeth thoroughly (twenty seconds for hands and two minutes for teeth). A flashing light indicates when they need to wind up their ablutions. The timer is battery operated and can be easily wall mounted. It costs just £4.99 and is available from Amazon UK.